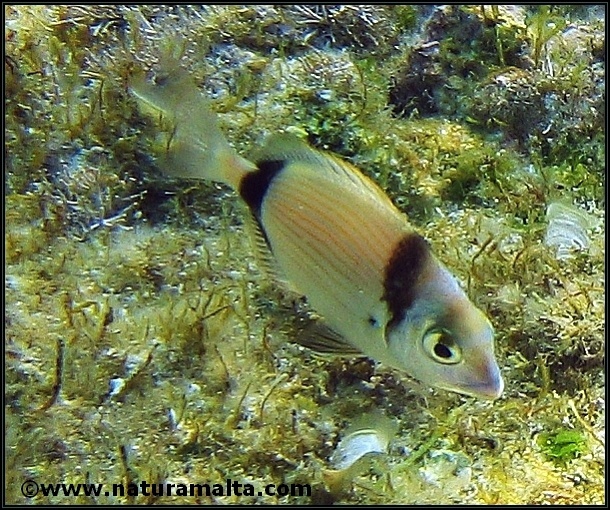 Diplodus vulgaris is a common fish found close to shore. The species is easily identified by the distinct 2 black bands present near the head and tail. 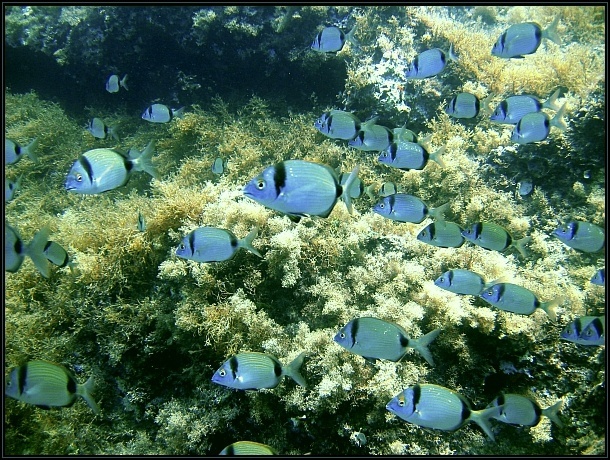 Young fish are commonly found near the shore with other species and feeds on small crustaceans and worms.